Extensively nourishes and instantly detangles. This rich conditioner composed of 2% plant oil restores hair fiber while delivering nourishment and shine. Overtime, highlighted hair, which has lost pigments, becomes porous, dull and dry. Antioxidants - including blueberry and volubilis nut oil - put a stop to the natural oxidation of color while plant oil and rice protein helps restructure the hair fiber. Great for dry or highlighted hair, it strengthens the hair with precious oils and helps to maintain highlights. 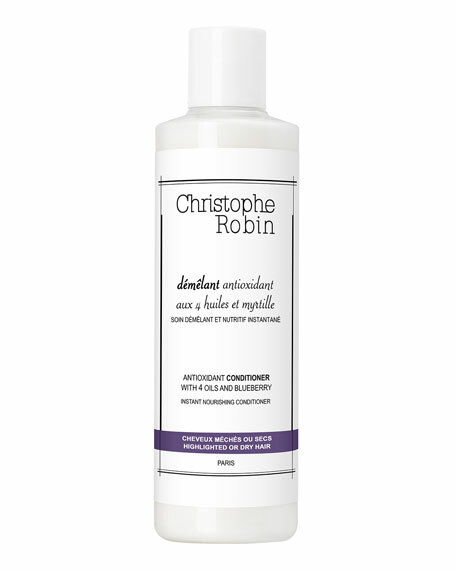 This antioxidant conditioner requires no leave-in time. After shampooing, apply on the hair, lather, detangle, and rinse thoroughly. 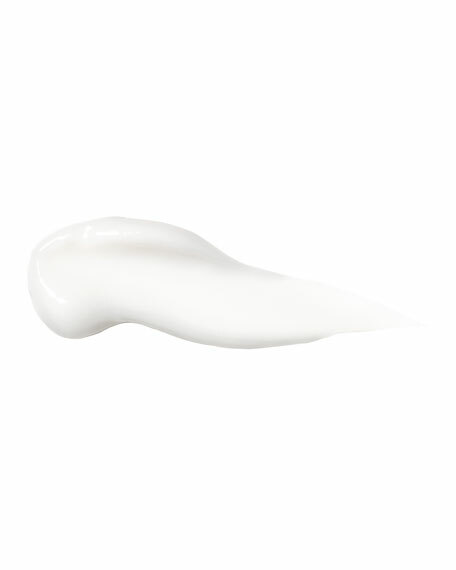 For optimal results, start with the Antioxidant Cleansing Milk with 4 oils and blueberry. Description: Condition in brilliance. This fortifying polishing treatment magnifies shine and unteases tangles without making hair dull in any way.